Scouting is truly international. The Boy Scouts of America is part of the "World Organization of the Scout Movement" (WOSM), which recognizes Scouting programs in at least 216 countries. Scouting is literally a world-wide program. Heart of America Council Scouts have many opportunities to participate in international activities and events with Scouts from other countries, bridging differences in language, cultures and politics, and helping fulfill Lord Baden-Powell's dream of international friendship. The goal of the International Scouting Committee is to help Heart of America Scouts participate in these events. World Jamborees, national jamborees in many countries, camp staff exchanges, troop and Venturer high adventure trips, Citizenship in the World MB, Jamboree on the Internet, Kandersteg, and many more programs offer a gateway to International Scouting opportunities. This committee will provide information, contacts, program guidance and assistance, and resources to help both units and individuals interested in an International Scouting experience. Are you ready to “Unlock a New World? Total fees, along with a payment schedule, will be published on November 1, 2017. Early applicant discount: applicants who submit a $250 deposit between November 1, 2017 and January 31, 2018 and make all additional payments on time will have a $100 discount applied to their last payment. The participant and unit leader fees include registration for the Jamboree, meals at the Jamboree, tents, and patrol and cooking gear. The fees also cover appropriate travel expenses (including food) between “Hub Cities” and the Jamboree. An appropriate number of “Hub Cities” will be identified across the continental United States depending on the distribution of youth and leaders that make up the various units. Applicants will be responsible for the costs to get themselves to and from these “Hub City” locations. A World Jamboree is a coed event and all are encouraged to apply. If a potential participant is currently not a member of the Boy Scouts of America due to current membership age requirements and would like to apply for the Jamboree, they should contact their local council to learn how to register in order to apply for the World Jamboree. For about $2000 a person a unit can go to Iceland, for 7-9 days, including airfare. Each HOAC unit would need an international tour permit, approved by our International Representative and our council executive to schedule a trip. The IS committee will assigned each unit a “tour coach” from our committee to counsel their efforts in planning. Please just make sure these unit leader initiate the process by going through the HOAC International Representative for Trip approval. In 2017, our camps will continue to have international camp staff members on staff! We're delighted to continue this tradition, which is a camp highlight at both Bartle and Naish. Along with having these young people on our staff, we need host families to help with providing them housing when they first arrive and before they depart. Hosting an international staff person can be a great experience for the whole family and we encourage you to find out more about this opportunity. To learn more about how you can host an international camp staff member in the future, contact Tom Johnson. The Heart of America Council supports sending contingents to major international events. The 24th World Jamboree in 2019 will be held in the United States at The Summit, the new Bechtel Scouting Center in West Virginia. Find More Details Here. 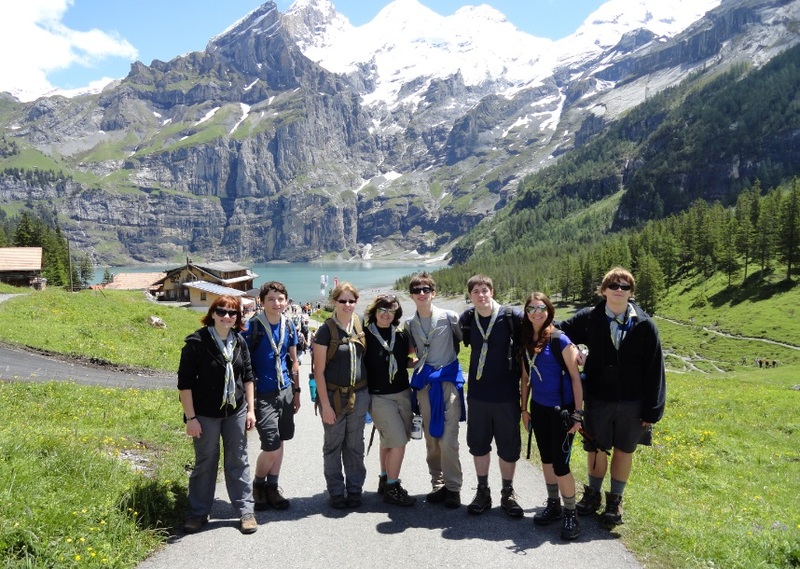 Kandersteg is the International Scouting High Adventure base in Switzerland, open to Scout units from around the world. For more information contact Tom Johnson: tjohnsonacme@aol.com. The aim of the European Camp Staff program is to assist young people in developing their leadership skills and to encourage intercultural learning. This is achieved by providing the individual with a residential experience as a volunteer staff member at a Scout center in another country. Scout centers in Europe do not operate in the same way that BSA camps do. The staff members of a typical European Scout center are usually involved in many different aspects of operating the center rather than specializing in one particular area. This is different from the situation in a BSA camp, where staff members are usually assigned to a particular activity or skill with which they work for the majority of their time at camp. In addition, Scouting in Europe normally operates on a coeducational basis, with males and females having the opportunity to be equally involved at all levels. All participants in the European Camp Staff Program must be between 18 and 30 years of age and must be volunteers registered with the Boy Scouts of America. To ensure that the experience is worthwhile, participants should be prepared to commit themselves to work for a minimum of six weeks. All Participants must have valid up to date adult training, including Youth Protection training. For information regarding available centers, please go to http://rovernet.eu/site/esvp-map . Interested participants should complete the BSA’s European Camp Staff Program application . Before applying, you should be certain that you wish to take part in this program. ALL APPLICATIONS must be approved by Tom Johnson, Heart of America International Representative, and the Council Executive. Please send all applications to Tom Johnson, tjohnsonacme@aol.com. For More details contact Tom at 913-568-3711. Gilwell Park — near London, England - is the home of Woodbadge. Gilwell Park is considered one of the three great international Scouting centers, supporting an active camping program for Scouts and training for adult leaders. Scouters with Woodbadge training are encouraged to register as an official Group 1 member. The Group 1 website has all the details on where Gilwell is located, along with driving directions, photos of the White House, and more! You can see where the BSA Buffalo stands across from the new "Purple Rose Garden," and can also check out the history of Gilwell Park. Include a visit to Gilwell Park if you are going to London, and stay in the historical White House surrounded by paintings by Scouting's premier artist, Ernest Carlos. Plan on visiting the Group 1 Room and enjoy refreshments among your Scouting Wood Badge Troop 1 friends. For more details contact Tom Johnson. Serve on the Gilwell Park camp staff. Spend time in Gilwell Park, England's premier Scout center. Review the Gilwell Summer Staff Programme sheet and then download the Gilwell Staff Application. Scouts and Scouters in the Heart of America Council are making a difference for Scouts all over the world with their contributions to the World Friendship Fund, an initiative of the BSA. Cash contributions, whether from a collection at a Scouting event or by an individual, help national Scout associations in developing countries and in cases of national disaster as in Japan and Haiti. You can help grow Scouting world-wide with a donation using the World Friendship Fund form. Check out more opportunities to help Scouting grow world-wide on our International Activities Page. Cub Scouts, Boy Scouts, Venture Scouts and adult leaders can now earn the HOAC International Scouting Award. Requirements are specific to the age group. Requirements include learning about the Scouting program in another country and communicating with a pen pal from that country. Requirements will be posted on this web site and will be available at the Council office starting in May. To contact the International Scouting Committee for assistance or information about any International Scouting activity, please send us an e-mail.